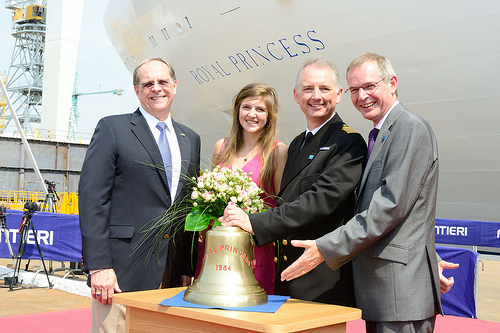 Princess President and CEO Alan Buckelew and Royal Princess Captain Tony Draper attended the float out, as did long-time Princess master Captain Nick Nash and his daughter, Victoria, who served as the ship’s “madrina” (or “godmother”). 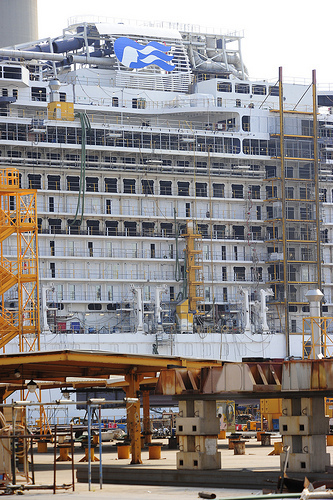 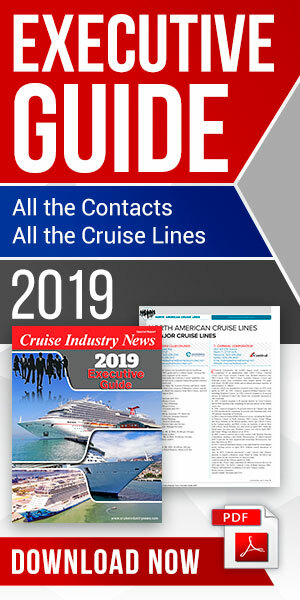 Following the Italian shipyard’s tradition, the float out of a ship is celebrated when the madrina cuts the cord that begins the flow of water into the ship’s dock. 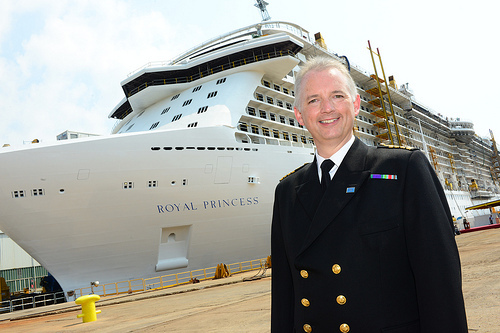 Victoria Nash was chosen to serve as madrina because she has a special connection to the first Royal Princess – as a baby, she was christened aboard the ship. 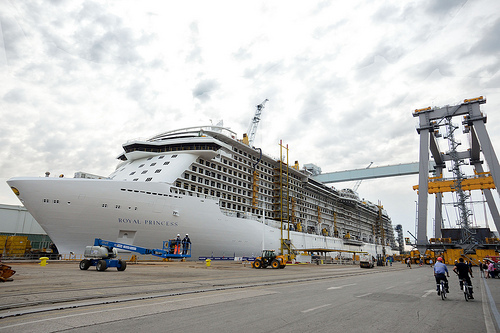 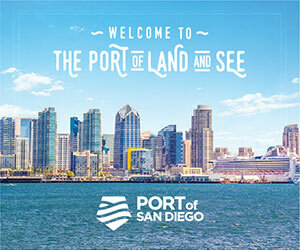 The ship is moving to the outfitting dock where final construction and interior outfitting will take place until the ship debuts in June 2013.